TW 024 - Is Benchmade Anti-Gun? Ryan discusses the latest online outrage, Benchmade destroying guns and contributing to anti-gun Democrat politicians. A few points are discussed about the issue including: Is destroying guns always bad? Was a felony committed by making a short barreled shotgun? Where are Benchmade’s campaign contributions going? Do we lose when we turn on ourselves as a mob? “Bump-fire stocks” have effectively been banned for average gun-owners. The Trump administration has “re-defined” these devices as machine guns and is giving American citizens 90 days to turn them in or destroy them or they will be felons! One giant exemption exists: becoming an FFL! “The Department of Justice is amending the regulations of the Bureau of Alcohol, Tobacco, Firearms, and Explosives (ATF) to clarify that bump-stock-type devices-meaning “bump fire” stocks, slide-fire devices, and devices with certain similar characteristics-are “machineguns” as defined by the National Firearms Act of 1934 and the Gun Control Act of 1968 because such devices allow a shooter of a semiautomatic firearm to initiate a continuous firing cycle with a single pull of the trigger. Specifically, these devices convert an otherwise semiautomatic firearm into a machinegun by functioning as a self-acting or self-regulating mechanism that harnesses the recoil energy of the semiautomatic firearm in a manner that allows the trigger to reset and continue firing without additional physical manipulation of the trigger by the shooter. Hence, a semiautomatic firearm to which a bump-stock-type device is attached is able to produce automatic fire with a single pull of the trigger. With limited exceptions, the Gun Control Act, as amended, makes it unlawful for any person to transfer or possess a machinegun unless it was lawfully possessed prior to the effective date of the statute. The bump- stock-type devices covered by this final rule were not in existence prior to the effective date ofthe statute, and therefore will be prohibited when this rule becomes effective. Join in to hear why Ryan believes this is a big deal. If you want to keep educating yourself, read his article about the HR 7115 3D Firearms Prohibition Act on RocketFFL. Interested in Ryan teaching you how to build a homemade firearm? Click the link to check out his article on GunUniversity.com. They’re actually legal for most Americans to own! Listen in as Ryan explains all the details of how it’s legal, what is legal and all the steps to take in order to ensure you’re in compliance with the laws. He also goes into detail for you on Title 26 of the U.S. code regarding machineguns and breaks down the uniqueness of machineguns in comparison to other NFA firearms. Ryan will walk you through which FFL can be most helpful and how you can can use his RocketFFL course to make that a reality. Do you know what the term Pre-’86 means? If not, you will after this podcast as Ryan give you an in-depth explanation of what it means and what it can mean for you. - Title 26 of the U.S. code: (b)Machinegun. The term “machinegun” means any weapon which shoots, is designed to shoot, or can be readily restored to shoot, automatically more than one shot, without manual reloading, by a single function of the trigger. The term shall also include the frame or receiver of any such weapon, any part designed and intended solely and exclusively, or combination of parts designed and intended, for use in converting a weapon into a machinegun, and any combination of parts from which a machinegun can be assembled if such parts are in the possession or under the control of a person. § Allows you to travel interstate, on an occasional trip, with your firearm in your vehicle without being forced to worry about rules and laws in the states you pass through. § Still required to respect the laws of the state or city where you’re at. § Only applicable to you if the firearm, and your possession of it, it legal in your starting and destination states. § In between, you must keep the firearm locked in a container separate from the passenger compartment. Either in the trunk or locked away from you and separate from the ammunition in SUV’s. § Doesn’t guarantee you won’t be hassled by local law enforcement. § Most important: Applies to the firearm being in your vehicle, the trip being an occasional one and you must be passing through the states. § Not applicable if you make the trip regularly, you’re stopping to sight-see or visit businesses or if you’re staying at a hotel. Must be passing through. § Stopping for restroom breaks, gasoline or a drive-through is acceptable. o Permissible but rules must be followed. 1) Make sure you’re going to be at an airport in a place where it’s legal to have firearms. Always be sure of your departure and destination state laws. 2) When checking your bags, you must declare you have a firearm but that you are not going to carry it on you or have it in your carry-on bag. It must be in your checked baggage. 3) Fill out the tag or form they will provide you, which you’re signing to confirm the firearm is unloaded. Often, they’ll ask you to verify this fact. 4) Place the form or tag in with the gun. o Despite these rules, the interactions you have with each gate agent, airline or TSA person can be different. o Best advice: go with the flow. Do not argue, just follow their instructions. § Goal is not to be right, it’s to stay out of trouble & get to your destination. § If you encounter someone who says you can’t travel with a firearm, show them. § Locked in a hard-sided container which includes plastic, just not soft. · Handguns: Best in the case it originally came in. § How it needs to be locked depends on the airline and/or airport. · Typically, one padlock in the factory plastic box is sufficient. · Sometimes, they test to see if it can be pried open on any side. · Be very careful to get a nice hard-sided case that cannot be pried open. § Do not use TSA locks. · Cases must be locked so only you have access to the firearm. · Be prepared to argue this in some instances. o This is a situation where the TSA rules handout comes in handy. · TSA approved locks compromise the security of your firearm. · Using a TSA lock allows access by someone other than you to the firearm which is against federal law. · They’ll have you sign a declaration that it’s empty; make sure it is. o They’ll swab the case down. o If they ask you to open it, do so, but maintain possession of the key. o Never give them your keys to walk away with. o The rules just say ammunition can’t be loose. o They prefer it be in the original cardboard box, not in a high-security case. o It may also be in the magazine. § You can have an unloaded handgun locked in a case with a loaded magazine. o Despite the rule, you may occasionally be asked by an agent to separate the ammunition from the firearm. § Always comply with their request and place the ammunition box loose in your bag. o Keep in mind you’ll have different experiences every time. o Use your judgement and follow the rules as best you can. o Research ahead of time and ensure you know the state laws. Please check out my latest project, Mayday Safety. We’re hoping it helps keep kids and schools safer. The mobile app is out and free so please download it! RocketFFL course sign-ups have been very high which is great! Please know that the course isn’t just about the application process, that’s just one chapter. It goes through all the background information and considerations you need to know to apply correctly and get set up the right way the first time. Great news on the ATF compliance course, Jackie & I made a lot of progress on it last week so it’s coming soon! o Currently limited on silencer baffle design based on what can be machined because you can only get so many angles or curves with a drill bit. With 3D we’ll get amazing structures, baffles and chambers. o 3D pistol is a handgun, therefore regulated by ITAR and can’t be exported without a license. o Export: ITAR definition has nothing to do with leaving the country but rather the arrival of the item. § Considered an export if it arrives in the hands of a foreign person, regardless if on U.S. soil. § Any info necessary for the use or manufacture of the items such as blueprints or tips & tricks. - Overall issue isn’t that people can get the 3D plans online and make their own guns, it’s only the deemed export of it to foreign persons. - State department backed off and agreed to a settlement. § Can’t protect the freedom of speech and block this. o Individual states still coming out against it however. - Thank you for your patience with me while launching Mayday Safety. I’m grateful to hopefully make a big impact in helping schools, businesses and families around the world protect themselves in emergency situations and save lives. - Please check out my new childrens safety book! Originally titled Firearm Safety is No Accident but renamed this week to There’s Only One You. Teaches kids an important message about most accidents being recoverable but not so with firearm accidents. Ryan doubles back and dives into a topic from last episode: how a court looks at constitutional law cases to include standards of review for different types of cases and when a court has the authority to hear a case. Ryan explores what NFA trusts are and whether you should use one. Based on the recent news of an ammunition vendor being arrested and charged in connection with the Las Vegas shooting, Ryan discusses the federal laws on Armor Piercing Ammunition. 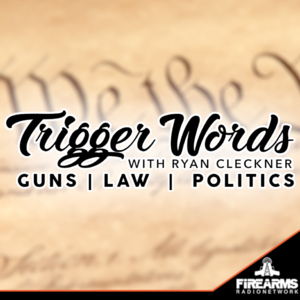 If you've been wondering how you're going to apply all of this new firearms legal information from this podcast to the real world....this episode is for you! Franklin Armory broke the firearm-related internet last week with the announcement of their Reformation firearm. They claim that it isn't a rifle, shotgun, nor NFA firearm. However, the picture looks just like a short barreled rifle. Ryan's contacts in the ATF say that the Reformation has NOT bee approved but that a prior request from Franklin Armory has been approved. The company's press release says that the ATF has approved it as a "non-rifle" but implementing the technology the way they have MAY be an issue. We're paying close attention to see what happens at SHOT. Ryan also adds some information to the last episode on export controls and talks about considerations for foreign persons and how we all need to be careful! The episode is answering a listener's question about background checks and what to do when you are "delayed." Ryan explores the federal definition of machine guns and how the ATF is seeking to include bump-fire stocks within the definition. Ryan's newest project: Mayday Safety, a program for family, business, and church safety. TW 009 - ITAR, State Dept. Ryan covers the very basics of export controls, including the differences between State Dept. and Dept. of Commerce, and he explains how you might unwittingly be part of an illegal export without ever sending anything out of the country! He also explains some good news about an initiative to lower federal firearm regulations. You wanted Ryan to dive a little deeper into the Constitutional law weeds and you got it! Ryan gives a tiny sample of a lecture that he normally gives his college students about how the Supreme Court made a creative power-grab. We hope that you enjoy this brief history lesson in American politics - we bet you'll learn something! 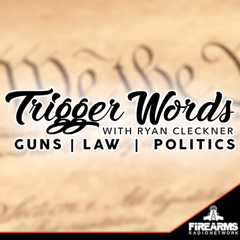 Ryan reviews the last episode's topic of Constitutional rights and explains how the government can, and does, infringe upon our rights. As a recent example, Ryan discusses a recent Florida case that the Supreme Court decided not to hear - and what that might mean. Ryan also explains what NICS checks are and how they can be used to measure relative firearm sales statistics. These stats show that we are currently experiencing record sales within the firearms industry. 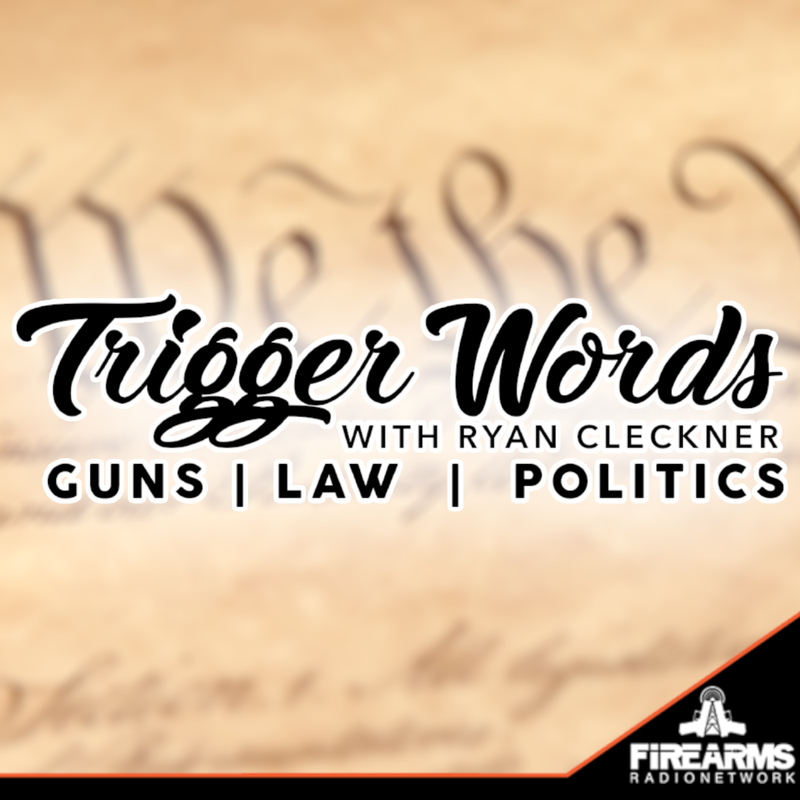 Ryan dives back into the basics of firearms law by explaining our Bill of Rights. Most important, he explains how the Constitution does NOT give us any rights. Instead, we already have our rights and our Constitution protects our rights from government intrusion. The various branches of the federal government are discussed. Ryan also talks about the Supreme Court to include their role, power, and how they hear cases. It's the time of year where people start wanting firearms as gifts and, hopefully, people start thinking about giving firearms as gifts. Contrary to what some believe, it is perfectly legal to purchase a firearm from a gun store/FFL as a gift for someone else. You must actually be the one buying the firearm as a true gift. This means it is your money and you are not buying it to be reimbursed with money, services, or an item in exchange. You must not have any reason to believe that the recipient of the gift is a prohibited person and they are otherwise allowed to possess that firearm (age restrictions and state laws apply). To learn more about prohibited persons, check out episode #4. The Form 4473 (the form you fill out to purchase a firearm from an FFL) asks if you are the actual purchaser. If the purchase is a bona fide gift, then you select "yes." Once you've purchased the firearm, you can now gift it is you would any other firearm you already own. If the person is a resident of your state, and your state doesn't have any laws about personal transfers, then you can just give the firearm to the recipient (you can even mail it in your own state). If the person is a resident of another state, you MUST ship the item to an FFL in the recipient's state - the recipient then must go to the FFL and have the firearm transferred to them. If you know that this is your plan, you can just purchase the firearm from the FFL and have them ship it to the other FFL - there's no need to fill out the 4473 and transfer it to yourself if you don;t need to take possession of the firearm.